Lesley Field, the deputy administrator of the Office of Federal Procurement Policy, said in an interview, "I see a lot of appetite out there for taking risks, calculated risks and bringing our industry partners along." She went on to talk about how agencies should be willing to try new ways of acquiring goods and services and be willing to learn quickly from mistakes and change course. Also communicating those lessons learned across government is crucial to government-wide procurement reform. Making these changes is not only important for efficiency but is necessary due to the type of technology and services that are being procured. A recent survey found that three in four federal IT executives expect their agencies to shift their IT investment portfolios over the next two years, backing away from investing in on-site, government-run data centers towards a combination of exclusive, government-only community clouds, hybrid models and to commercial clouds. There are numerous events that facilitate the sharing of success and failures in procurement reform. 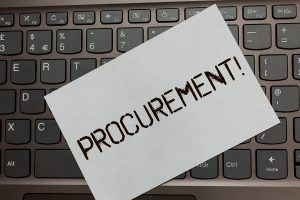 Here are just a few that should be of interest to those in procurement roles as well as those selling to the government. GSA eBuy: A New Overview (May 14, 2019; webcast) - this online course details the GSA e-buy program, an acquisition tool used by thousands of U.S. federal agencies and military services worldwide to achieve required competition, best pricing and value. This webinar will include details on the electronic Request for Quote (RFQ) tool among other elements. 2019 Spring Training Conference (May 16, 2019; Falls Church, VA) - The Coalition for Government Procurement's 2019 training conference will look at the latest issues in Federal procurement among other topics with keynotes, panels, breakouts, and more. PSC Federal Acquisition Conference (June 13, 2019; Arlington, VA) - this conference will explore evolving acquisition trends shaping the industry and their effect on business, including discussion of active and pending legislation, the future of category management, and the results of the PSC Acquisition Policy Survey which looked at the state of federal procurement practices, policies and the acquisition environment. CXO Tech Forum: Acquisition Innovation (June 20, 2019; Arlington, VA) -- in interactive panels and workshops, government and industry contract and acquisition experts will explore ways to improve the federal and defense technology acquisition cycle through collaboration, shared agency service consolidation, other transaction authorities, open feedback loops and more. Government Contract Management Symposium (December 9-10, 2019; Arlington, VA) - held by the National Contract Management Association (NCMA), this annual event features keynotes and dozens of breakouts for the 1,000+ attendees to get up-to-speed on recent trends and mandates as well as network with peers. Let us know how you are keeping up on your acquisition education. Share your favorite events and resources in the comments. This entry was posted in Event News, Gov/Mil News and tagged Acquisition, Cloud, data center, Innovation, procurement, retiring workforce by Kerry Rea President of GovEvents. Bookmark the permalink.